Arts & Crafts Style Writing Desk - NR HILLER DESIGN, INC.
Photo by courtesy of Steve Scott, Fine Woodworking. Used with permission. An original design inspired by a set of 1901 drawings for washstands. I obtained the drawings through the Geffrye Museum in Hackney, London and the English National Archives while researching the article “Harris Lebus: Arts & Crafts for the Trade” for American Bungalow Magazine. 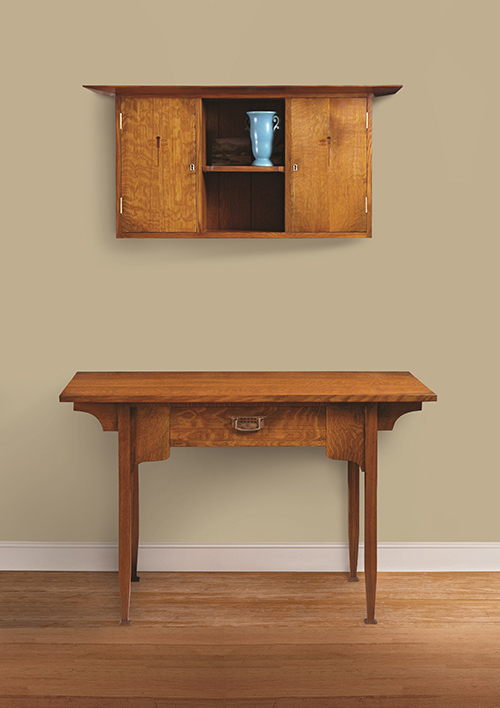 This desk was the feature of a Fine Woodworking project article; the ultra-plain setting here was Photoshopped in.